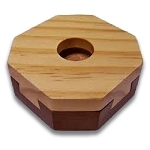 About the S.S. Adams Co.
but we do carry some of the SS Adams products! The S.S. Adams Co. produced classic pranks and great beginner magic tricks from 1906 into the mid-1990s. Many magicians, including the top professionals, got their first taste of magic when they bought one of the inexpensive Adams magic tricks in the cartoon packaging. When company founder Sam Adams died in 1963, the company lost its driving force, and over the years became an almost forgotten chapter in American childhood memories. That all changed on April Fool's Day, 2009, when the company was purchased by Magic Makers, Inc. Dedicated to remaining true to Sam Adams' vision, Magic Makers Inc. revived the best of the Adams novelties line. 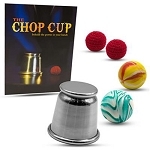 Some of America's favorite tricks and pranks are available again! A sense of magical wonder helped to sell classic pocket tricks like the Ball Vase, the Magic Coin Box, the Three Shell Game, Color Vision and Crazy Cube. It was the distinctive, simple comic-book packaging, complete with an enticing see-thru window to give the eager young magician a peek at the wonderful product within, that helped make the S.S. Adams line so successful. Once available in every five-and-dime and neighborhood store, these small pocket tricks in their original packaging are now highly collectible, especially by professional magicians who remember these treasures from their childhoods. Adams also included some classic magic tricks in his line of products. Trick decks like the popular Delands Deck, the Secret Stripper Deck and the Svengali Deck were the first magic tricks owned by hundreds of thousands of eager young magicians in the mid-20th century. Luckily, these decks are still available today. Sam Adams became world famous as the "King of Professional Pranksters". Not only did he create the 20th century market for practical jokes and gags, but he also created over 650 items himself. Sneezing powder? That's the stuff that Sam Adams started his successful business selling. Dribble Glass? Snake Nut Can? Stink Bomb? Snapping Gum? You can thank Sam Adams for introducing you to those classics. And the Joy Buzzer, Sam Adams' own invention. The Joy Buzzer that makes a grating noise and gives a weird vibration when unexpectedly pressed into your palm by a practical joker was a clever piece of mechanical equipment so unique that it was granted a U.S. patent in 1932. 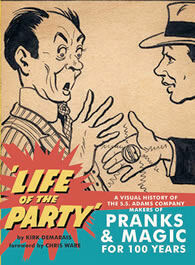 A great book on the history of the S.S. Adams Company is Life of the Party: A Visual History of the S.S. Adams Company Makers of Pranks & Magic for 100 Years by Kirk Demarais, published in 2006.